Nutritional balancing supplements are custom tailored vitamin, mineral and herbal supplement programs designed specifically to balance your individual body chemistry. 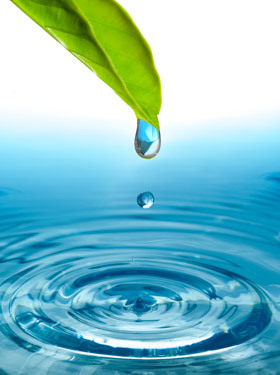 Hair Tissue Mineral Analysis (HTMA) can very accurately assess your Adrenal gland function, thyroid activity, metabolic rate, nutritional deficiencies and heavy metal toxicity levels. 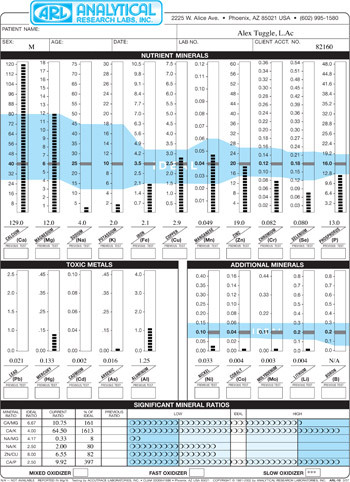 A properly done hair analysis also provides a soft tissue blueprint of your cellular metabolism functioning with which we can prescribe Nutritional Balancing supplements to effectively correct your metabolic rate, support your adrenal, thyroid and liver enzyme activity to help your body naturally eliminate toxic heavy metals from the soft tissue storage sites hidden within the body. 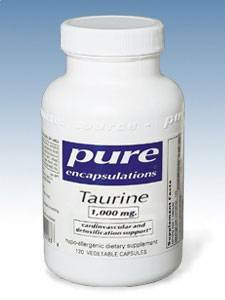 Pantothenic acid and other B vitamins are also helpful in treating some cases of Adrenal fatigue but improper dosage can be too stimulating. Natural substances such as maca, cordyceps, ginseng, glandular extracts, royal jelly, and eleuthero root are all helpful nutritional and herbal products that help many people, but are often inadequate on their own to provide complete recovery from adrenal fatigue or adrenal burnout for most cases. Your adrenal glands need to rest deeply and be less over-stimulated by constant stress which can be caused by toxins and heavy metals stored inside your soft tissues such as your liver, brain, pancreas, heart, skin, connective tissues, and endocrine glands. Eliminating these toxins and heavy metals can be an overlooked and often essential part of treating chronic fatigue, stress, insomnia, and many other chronic illnesses and symptoms. A complete nutritional balancing supplement program includes a combination of specific Vitamins and minerals, medicinal Herbs, glandular extracts, amino acids, and digestive aids and comes with individualized dietary guidelines and lifestyle recommendations to allow the Nutritional balancing supplements to really work properly in treating Adrenal fatigue. B complex vitamins are a very important part of any adrenal fatigue supplement program, but when given in improper ratios to one another for your specific metabolic rate can actually worsen your condition. Zinc and Magnesium are also essential minerals in the rebuilding of the adrenals and energy producing enzymatic pathways, but without a proper balance of other nutrients, these can lower Sodium levels to such a degree that your adrenals actually shut down. Nutritional Balancing is a procedure where vitamins and minerals are combined in such a way that energy production is increased at a cellular level, your metabolic rate is sped up or slowed down depending on your specific requirements, and fundamental herbs and glandular substances are prescribed at the correct dosage to provide optimal energy improvement that is sustaining. By relaxing the overexcited "sympathetic nervous system" we are able to get the adrenal glands to rest long enough and truly utilize the nutritional support to rebuild itself and recover from adrenal fatigue. In an unwashed Hair sample, the readings of Sodium and Potassium correlate with Adrenal function. If Sodium and Potassium levels are low or if their ratio to one another is low, this is a clear diagnostic reading of Adrenal Fatigue. Adrenal Fatigue is usually accompanied by Thyroid insufficiency which is shown on a hair analysis test with high Calcium and Magnesium levels in the hair and therefore the soft tissues. High Calcium and Magnesium in the blood and tissues can cause severe fatigue on its own since Calcium slows down cell permeability and the rate of your metabolism of food converting into energy. 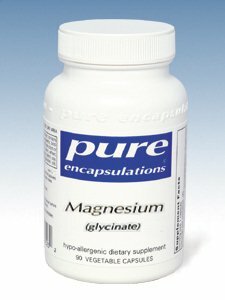 This with a low Sodium and Potassium reading actually indicates a bio-unavailability of Calcium, Magnesium and many other trace minerals needed for energy production since Sodium and Potassium are needed to make Calcium and other minerals soluble and able transport across the cell membrane to get into the cell where they are used as cofactors for energy producing enzymatic conversions along your metabolic pathway. Mercury or Copper toxicity may be causing toxic reactions and overstimulating your adrenal stress response which will artificially raise your Sodium and Potassium levels, temporarily making you feel more energized but will result in an increased tendency for anger, hostility, anxiety, worries, panic attacks and insomnia, and will ultimately make your adrenal glands even weaker. and I will call you or e-mail you to schedule our phone consultation to go over your health history and develop a proper treatment plan. In my 60 minute phone consultation I offer my expertise and guidance in selecting a dietary regimen and Adrenal Fatigue Supplement program that best suits your specific needs, with or without a Hair Mineral Analysis. Having a Hair Analysis test done is highly recommended for the most accurate supplement program to be designed to correct your individual nutritional and metabolic imbalances. Fixing your metabolic rate is extremely effective at correcting your overall body chemistry and enabling your adrenals and cellular metabolism to function more efficiently.